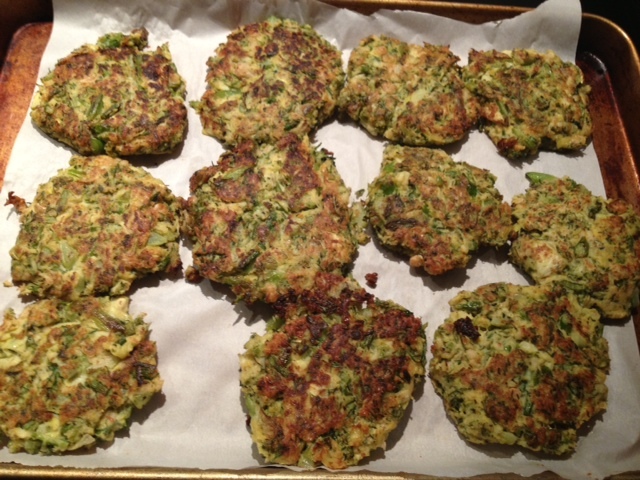 Broccolini, White Bean & Artichoke Patties. 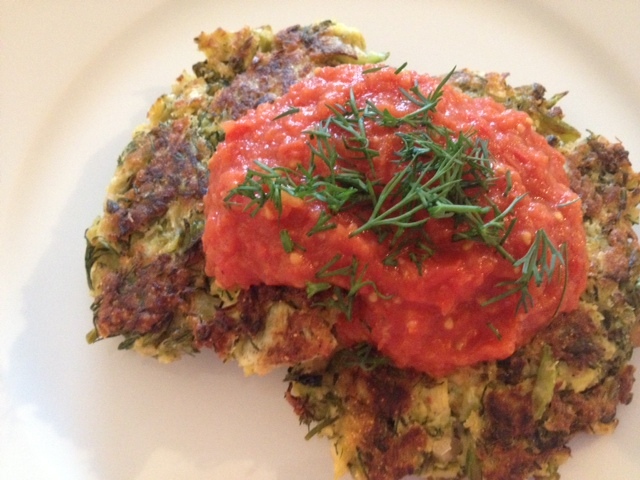 Broccolini, White Bean & Artichoke Patties Topped With Grape Tomato Sauce. It was one of those nights when I had no idea what to cook… I had all of these ingredients in my kitchen and wasn’t sure how to combine them. 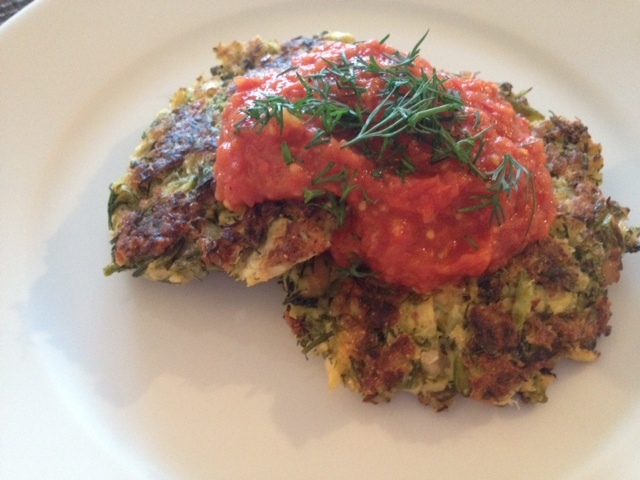 I came up with the idea to make patties similar to a potato pancake, minus the potato. The result was quite yummy, if I do say so myself! 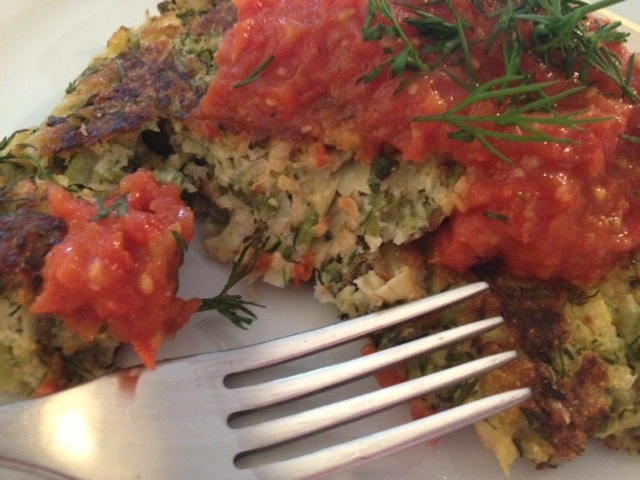 These gluten-free patties are amazingly delicious—not to mention, they are super healthy. 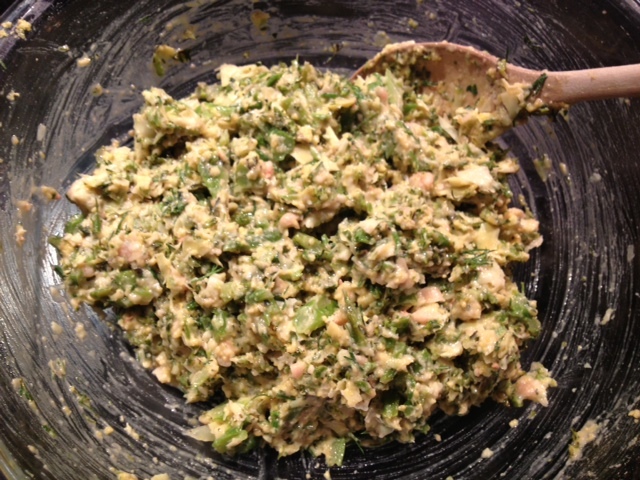 In a pot, add 2 tbsp of olive oil and the chopped garlic. 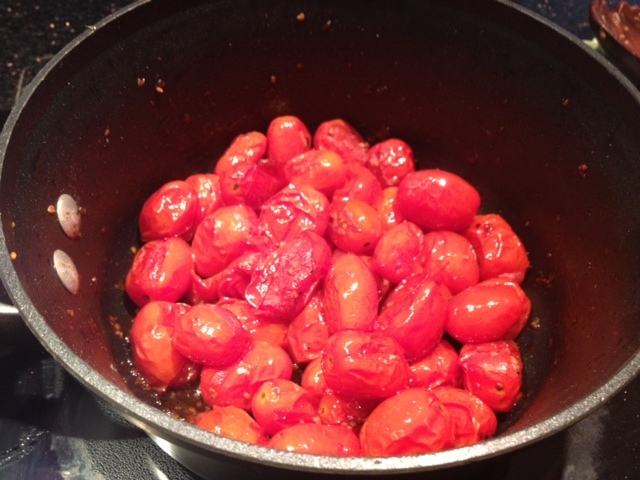 Add in the whole grape tomatoes and cook on medium heat for about 30 minutes, stirring often, until the tomatoes start to cook down and get softer. 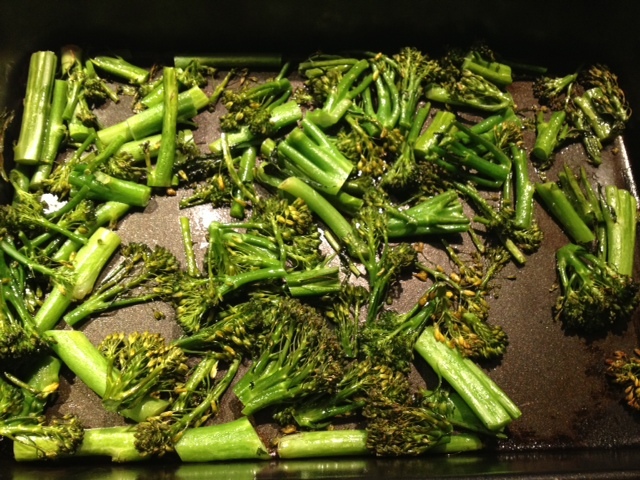 Put the broccolini in a roasting pan and toss with 1 tbsp olive oil. Cook in a 400 degree oven for about 10 minutes. Put the white beans into the food processor and pulse a few times so the beans are chopped but not overly smooth. 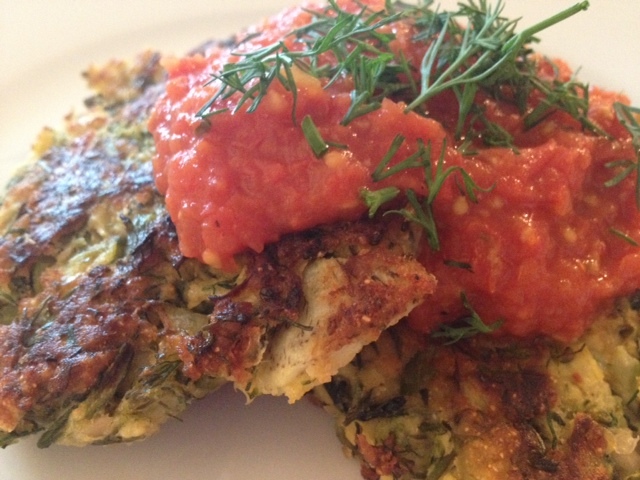 Repeat with the artichoke hearts and the roasted broccolini. 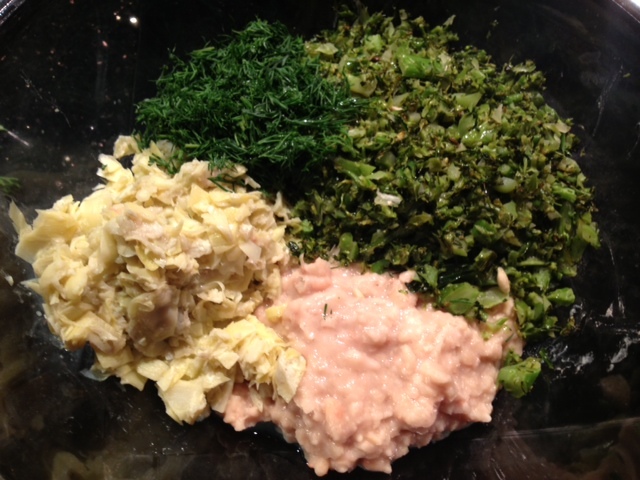 Add the ingredients into a large mixing bowl along with the garbanzo bean flour, gluten-free bread crumbs, lemon juice, eggs and dill. Season with a generous dash of garlic salt and black pepper and mix well to combine all of the ingredients. 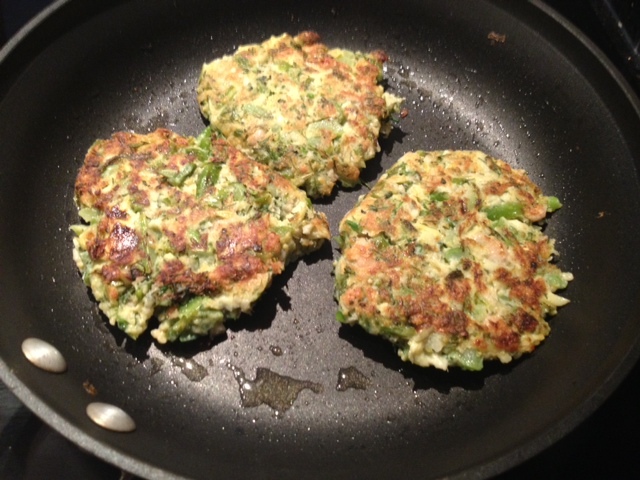 Heat ~2 tbsp of olive oil in a pan, enough to generously coat the bottom of your pan, and form the broccolini mixture into a patty with your hands. Cook 3-4 patties at a time, depending on the size of your pan, for about 2 minutes on each side or until it’s lightly browned. Repeat this process until you’ve used all of the mixture. This will make about 10-12 patties. After you’ve browned the patties, put them on a baking sheet and cook on 400 degrees for 7-10 minutes. While the patties are in the oven, remove the tomatoes from the stove and put them in the food processor and blend for 10 seconds or so. 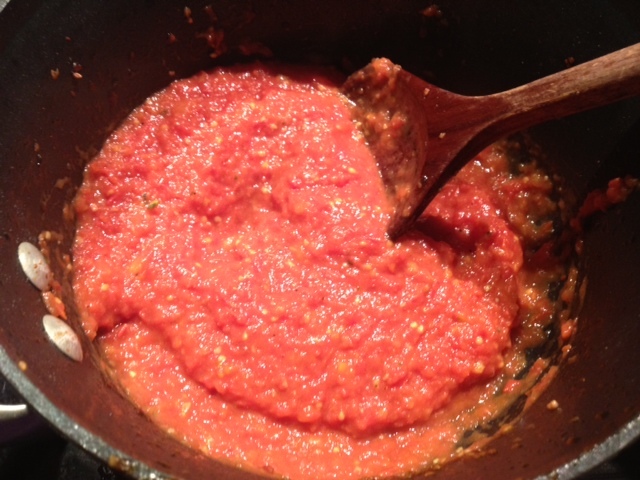 Place the sauce back into the pot and season with a dash of garlic salt and black pepper. When the patties come out of the oven, plate them with a spoonful of the grape tomato sauce on top along with a pinch of fresh chopped dill.